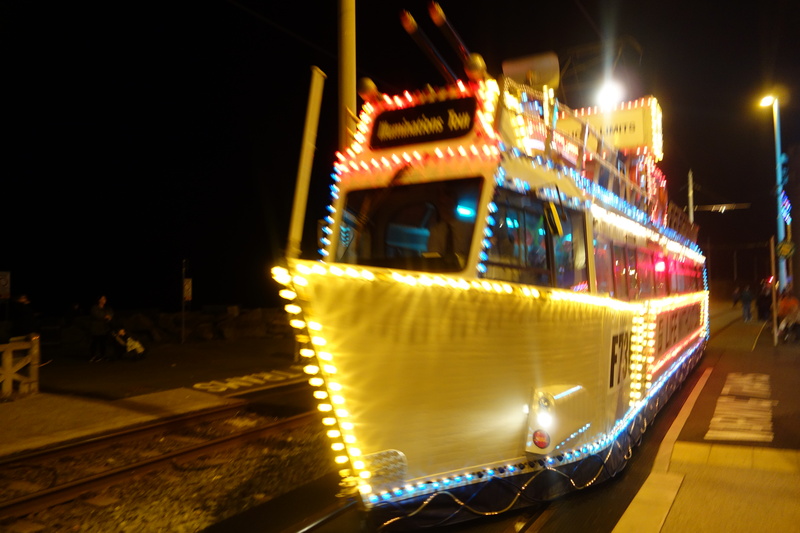 On Sunday, 6th September, I had a few days in Blackpool to see the world famous illuminations, and of course take a ride on the tramway. 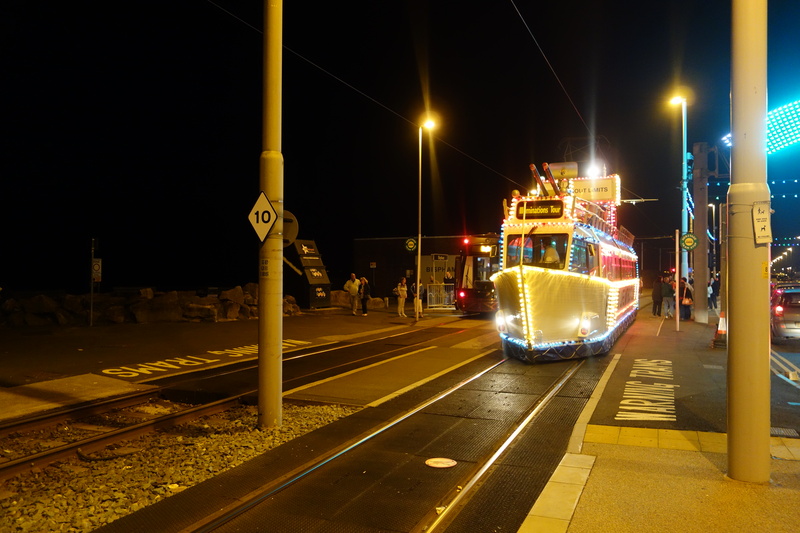 The Heritage Trams were out in the evenings to give tours to visitors of the lights, with the illuminated trams being used. The Western Train being a personal favourite and probably one of the most elaborate feature trams to ever be constructed, and subsequently restored at the resort. On both Monday and Tuesday, there was one of the modified Balloon trams used as a driver training, as with the half term being one of the most popular weeks of the year for the resort, more trams will help to solve the super dense crush load, as seen last year. The tram in use was 711, which has been repainted in Blackpool Councils new corporate colours, as have two other ‘widened’ balloons and all 15 new Flexity 2 trams. 711 was named after Ray Roberts, who worked in Rigby Road depot. He sadly passed away on the 20th January 2012, next to depot where he loved to work. Also, in two weeks time, on the 26th – 27th September, the tramway celebrates its 130th anniversary, with all of the available heritage trams being used over the weekend, along with depot tour and the launch of a recently restored tram, Twin Set 675-685! The heritage fleet in Blackpool really do take you back to the past when these were used in daily services. This tram line was the one that hooked me on tramways and Blackpool itself. I used to visit every year over the October Half Term week, and travel on the old trams along the promenade and to Fleetwood, which was quite unusual, as tramways in the east of England are quite scarce. I am gutted that I would not be able to visit over the weekend, but I know Blackpool Transport will put on a good show. Above is my video of my trip to the north! Glad you enjoyed the heritage trams. I started visiting Blackpool for the illuminations back when I was really young. Hope you kids enjoy the Blackpool Illuminations next year.